Year 5 artists at King Edward’s Junior School are very excited, having just found out that their work will be exhibited at the National Gallery in London later this year, as part of the Take One Picture initiative, the National Gallery’s flagship scheme for primary schools. 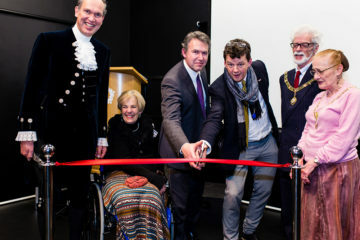 Each year the Take One Picture scheme focuses on one painting from the gallery’s collection to inspire cross-curricular work in classrooms. This year children across the UK were asked to respond to an 18th century painting, An Experiment on a Bird in the Air Pump, by Joseph Wright of Derby. At the start of the project, KES artists from the Junior School were introduced to Wright’s oil painting. Some children were interested in the fate of the bird (would it die? ), whilst others were drawn to the dramatic night time nature of the scene. Pupils were also interested to learn that Wright spent two years in Bath, where he lived just outside the Royal Crescent and made a living as a portrait painter. In response the children created a series of batiks, relief prints, self-portraits, ceramic birds and acrylic paintings and submitted them to the National Gallery for consideration for this year’s exhibition. 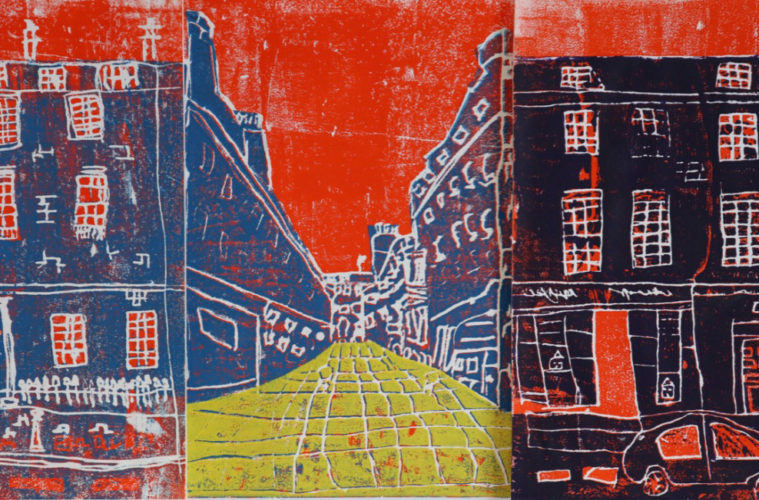 Excitingly, the gallery has just confirmed it would like to exhibit the relief prints of Brock Street in Bath, created by Year 5 children after they decided to focus on Joseph’s time spent living in Brock Street. 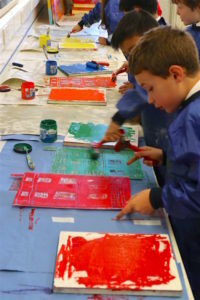 In creating their artworks, the children visited the street in the city, photographed every house on the north side of the street, and then created relief prints of each building using ‘reduction printing’. Each print was then assembled to create a long streetscape. The National Gallery has also confirmed that digital copies of the tonal self-portraits created by another set of Year 5 children, reflecting Wright’s career as a portrait artist, will also be on view at the exhibition, which runs from the 9 May – 11 August.